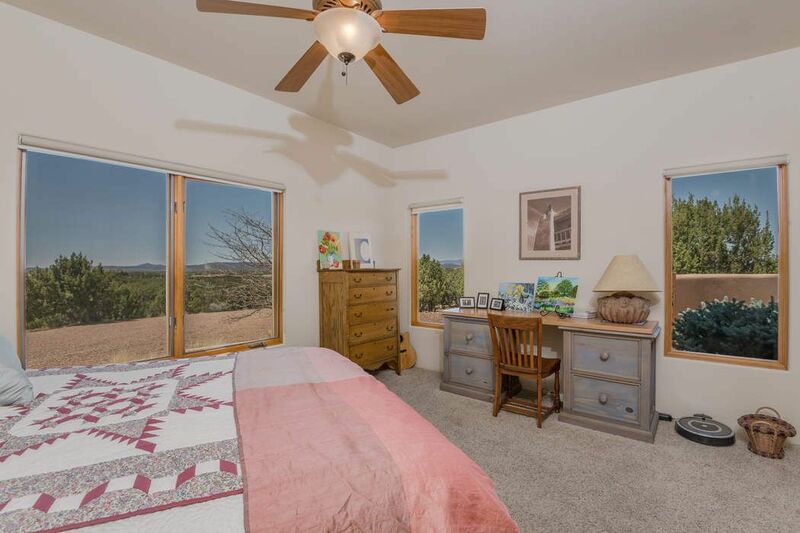 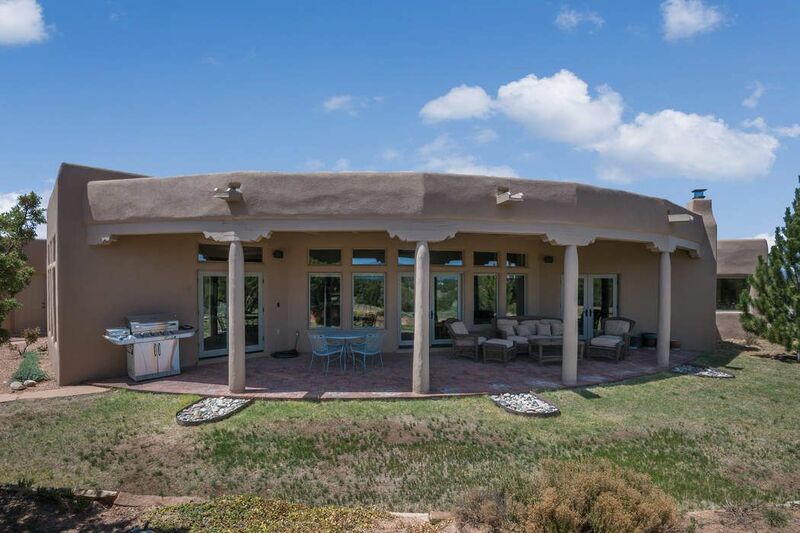 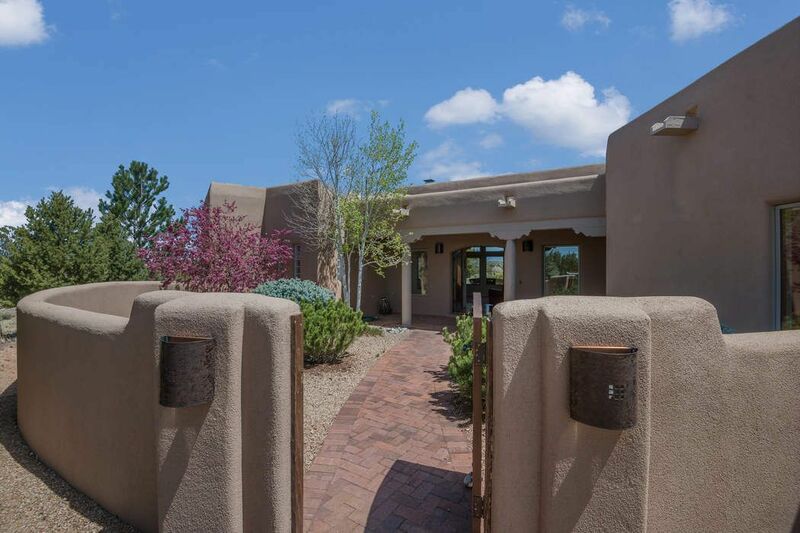 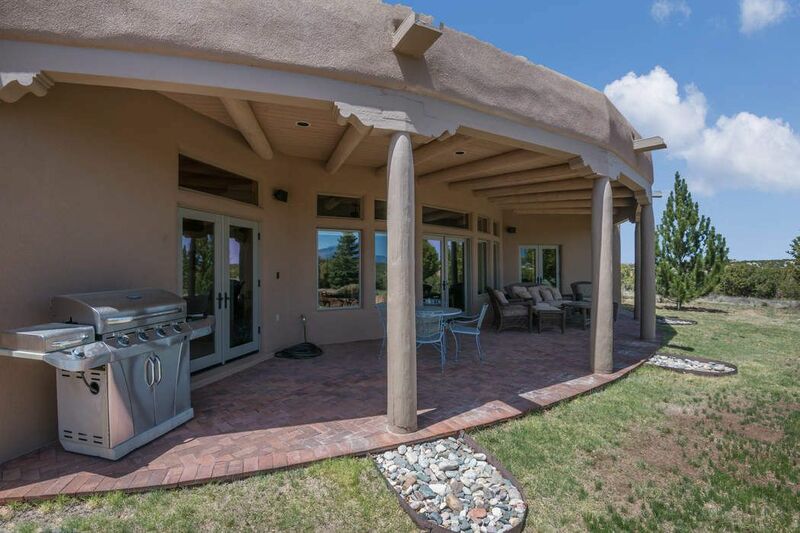 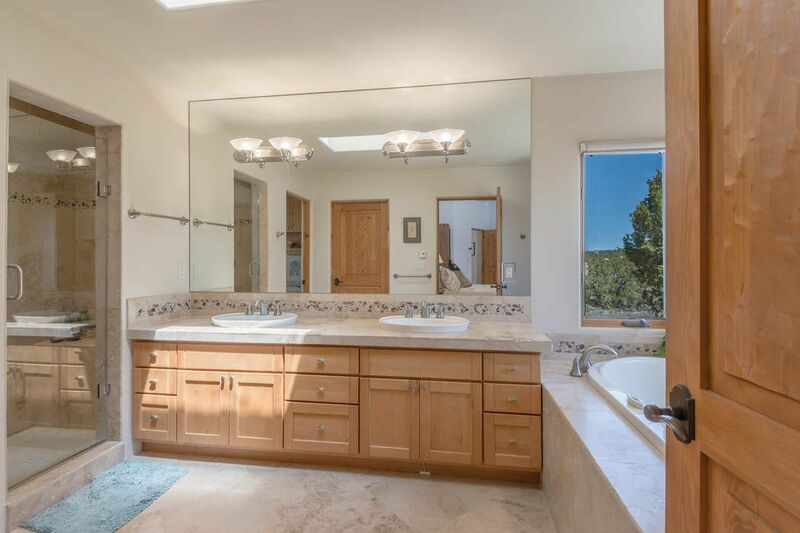 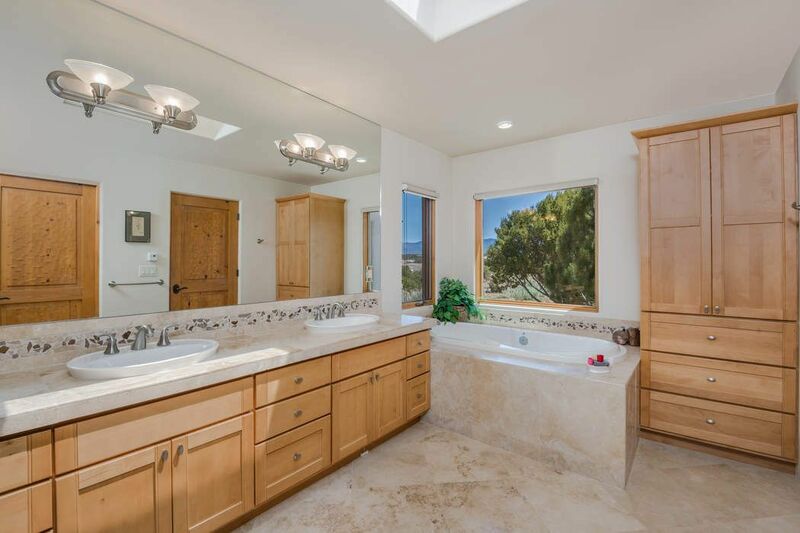 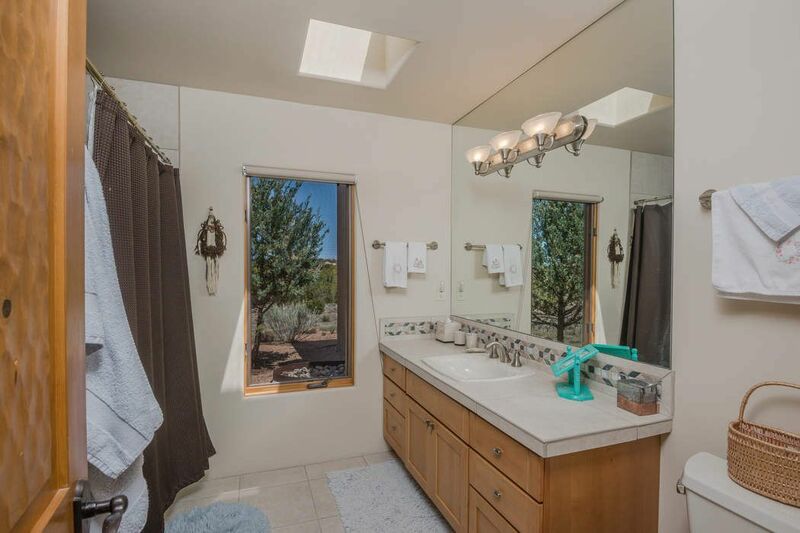 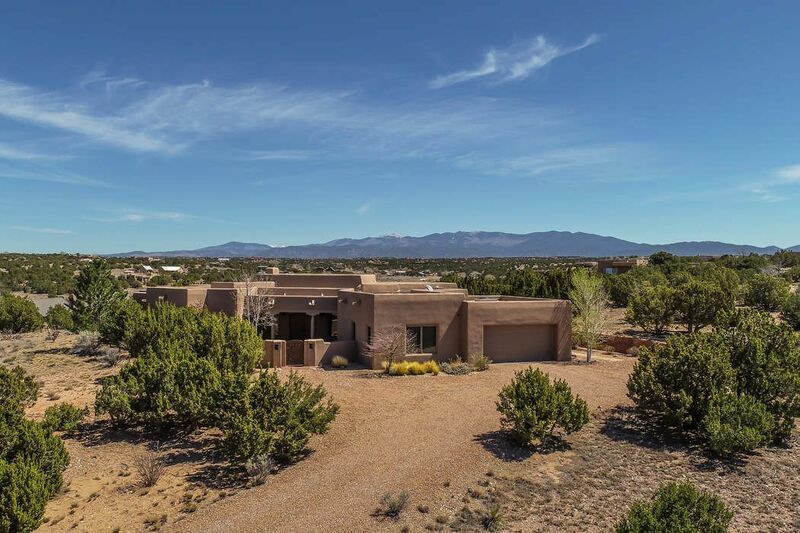 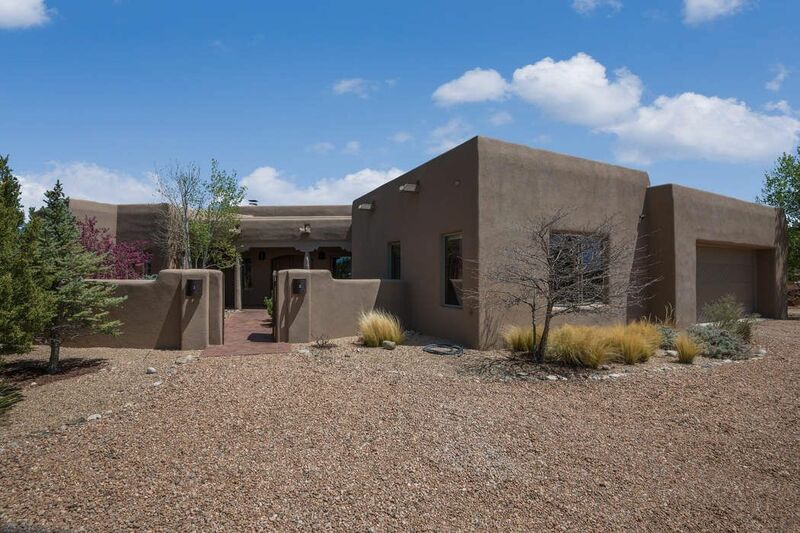 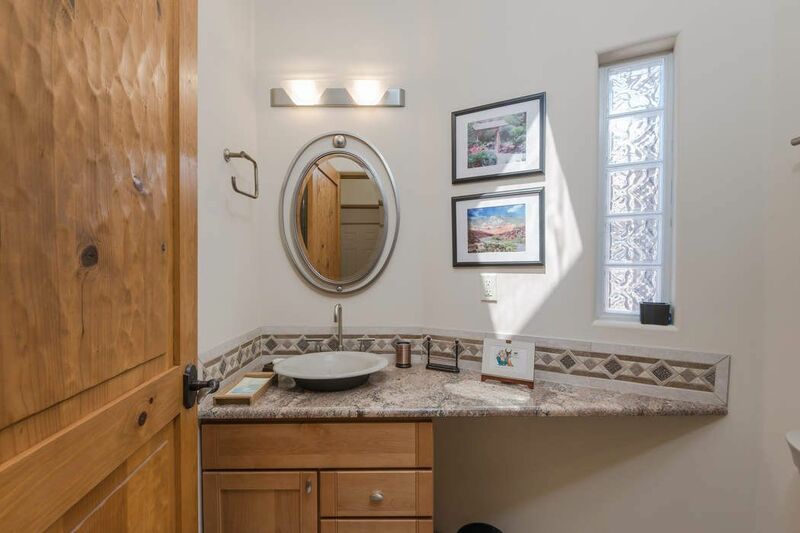 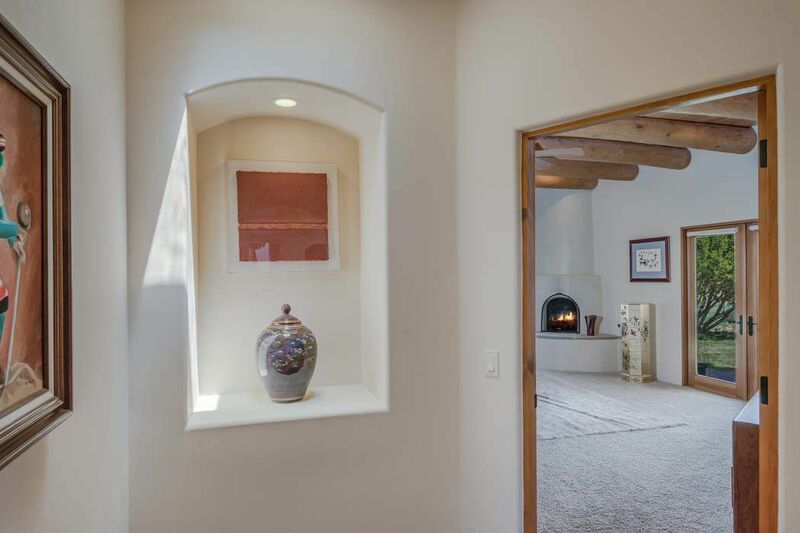 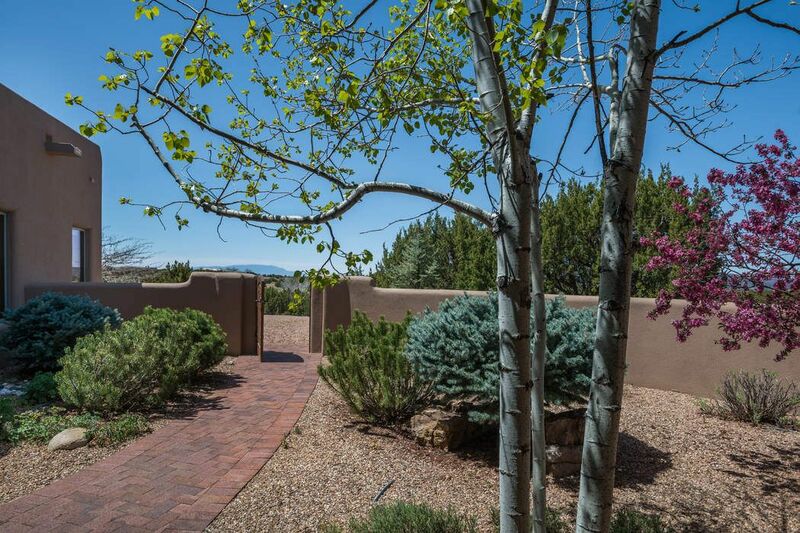 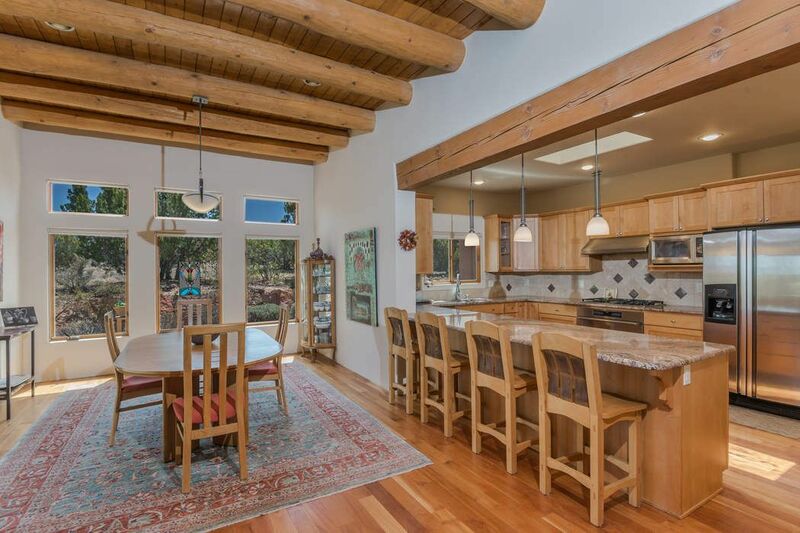 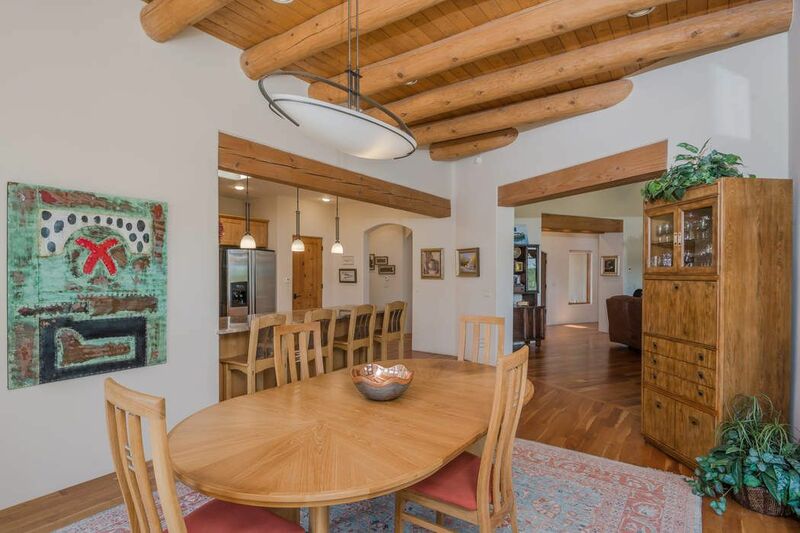 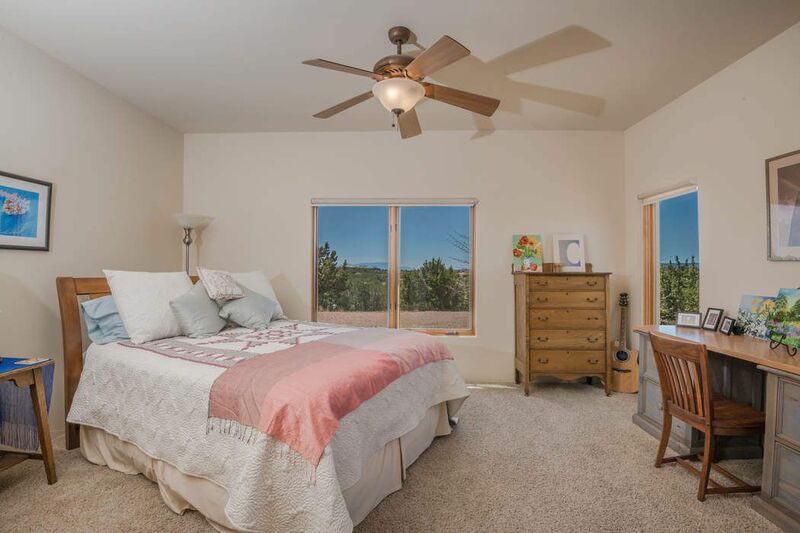 6 Desert Rain , Santa Fe, NM 87506 | Sotheby's International Realty, Inc.
$847,000 3 Bedrooms3 Full Baths2,681 sq. 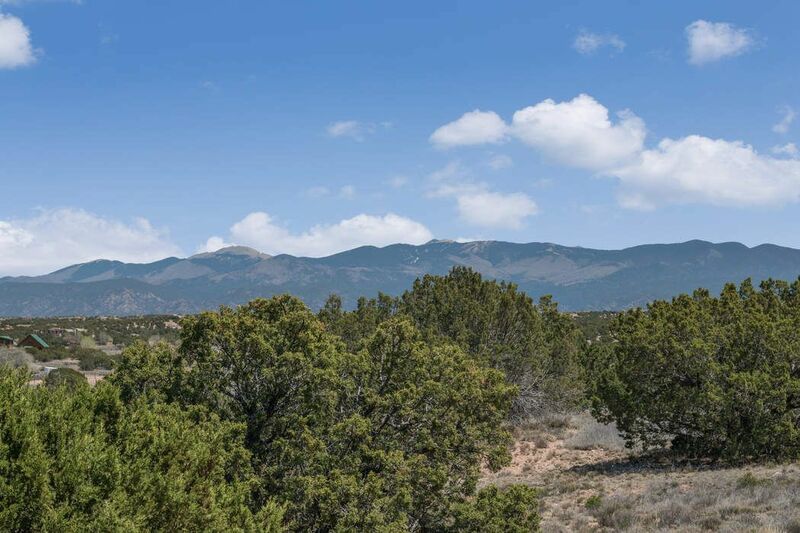 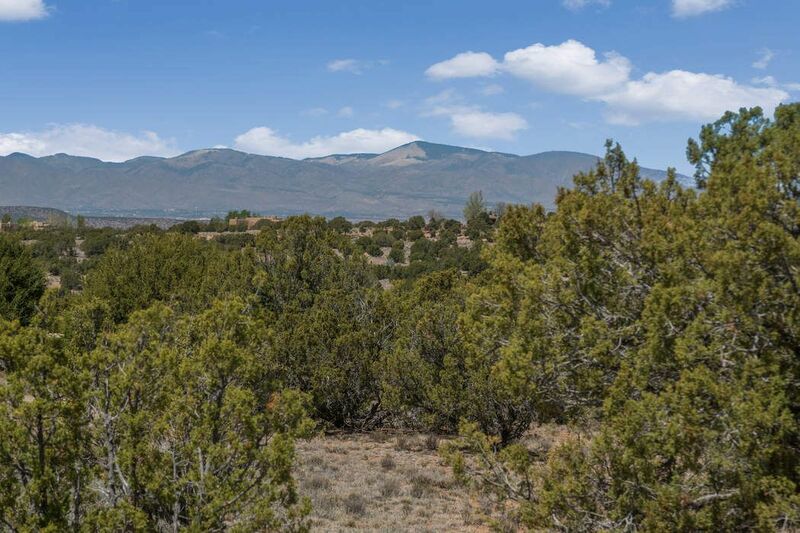 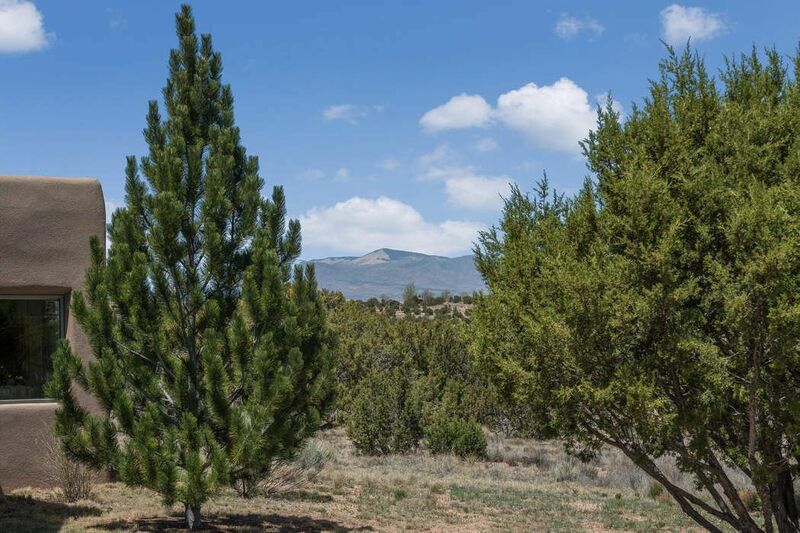 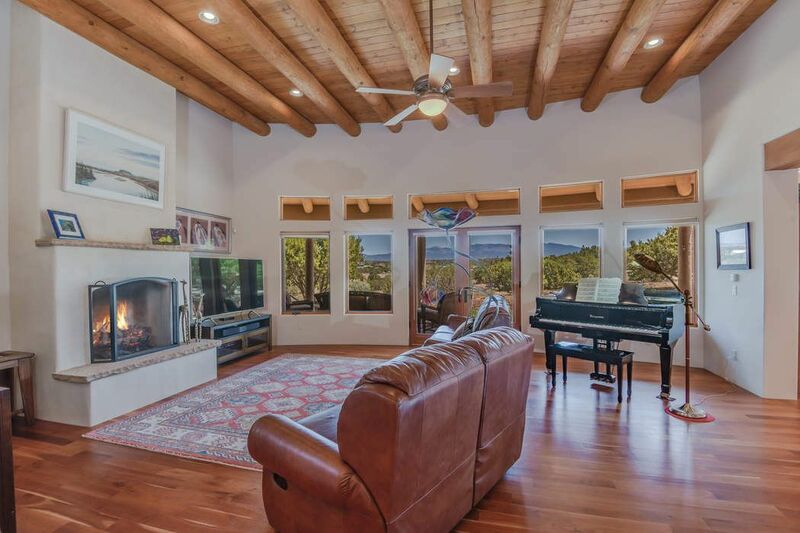 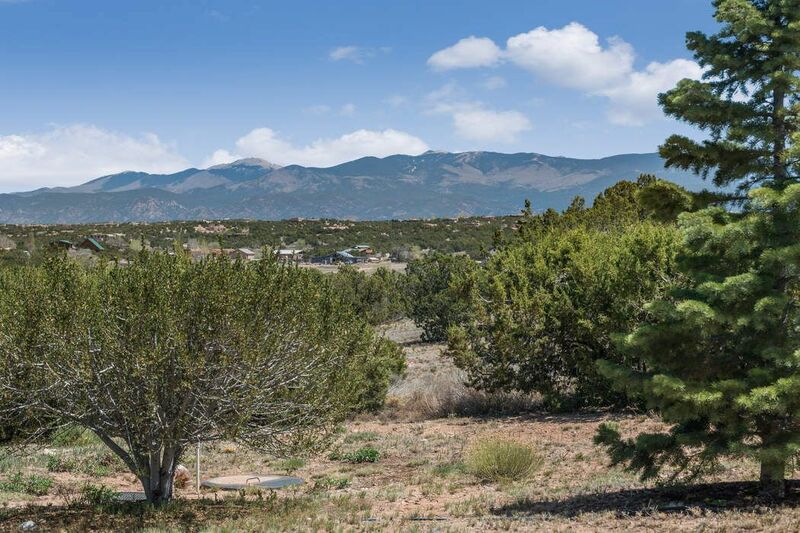 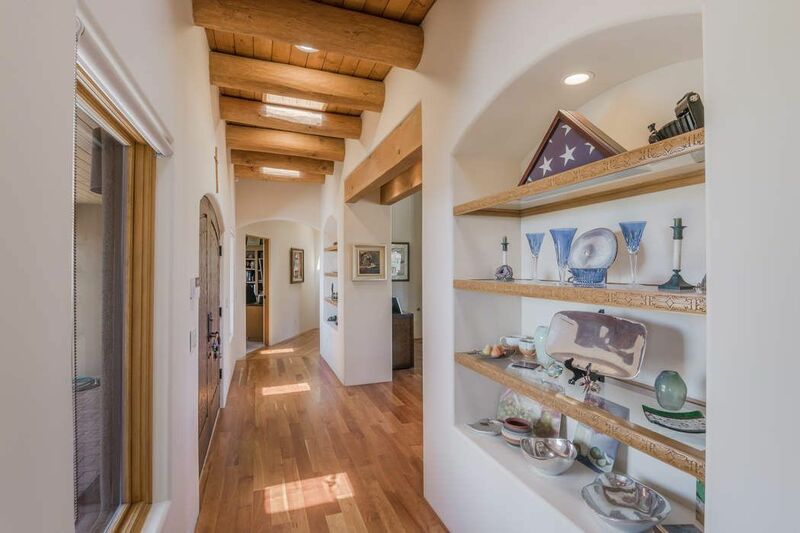 ft.
One of a kind Los Suenos residence, with commanding Sangre de Cristo, Jemez and Ortiz views on a perfectly sited, elevated, cul de sac 2.9 acre view lot. 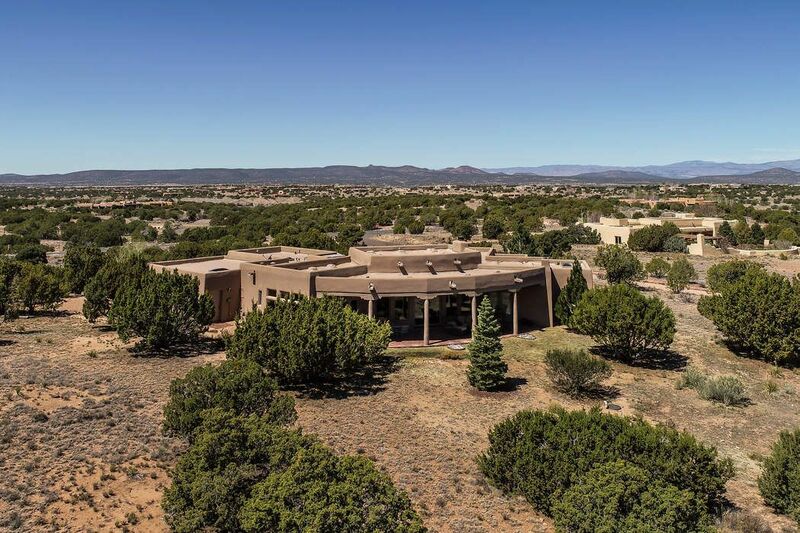 Upon entering this exceptional residence through the front courtyard entrance, your attention is captured by expansive Sangre and Jemez views. 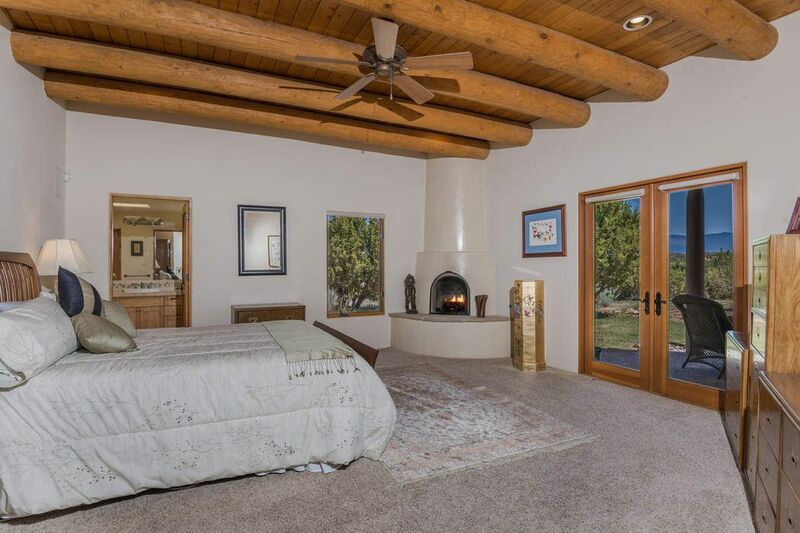 Thoughtfully designed, this 2,681 square foot residence offers ideal separation of space which includes a private master suite with a fireplace, views, spa-like master bath and large walk-in closet, in addition to a spacious guest ensuite with a built-in desk and full bath and the ultimate guest suite with dual closets and endless Jemez and Ortiz views. 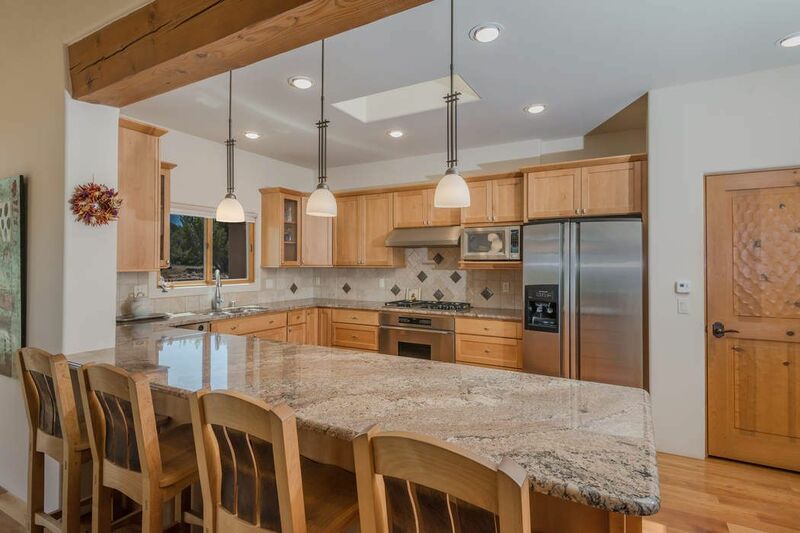 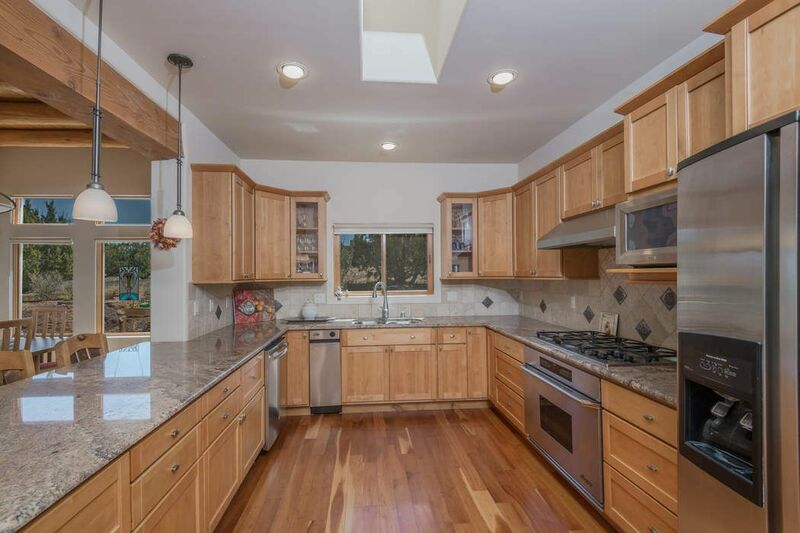 Perfect for entertaining, the well appointed chef's kitchen offers granite counters, high end appliances, and a generous breakfast bar and pantry which nicely opens to the dining room and portal. 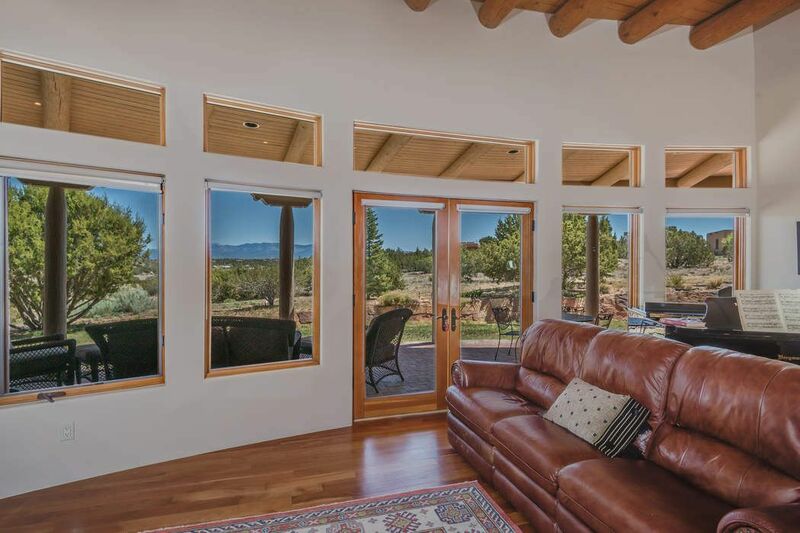 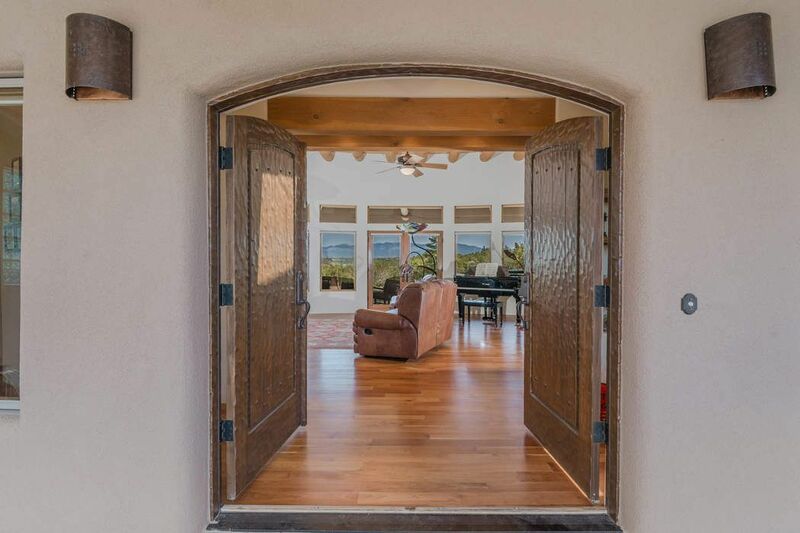 Inspired by the Sangre views, the open-concept great room and dining room were designed to incorporate the expansive, wraparound portal which perfectly frame the Sangre de Cristo Mountains. 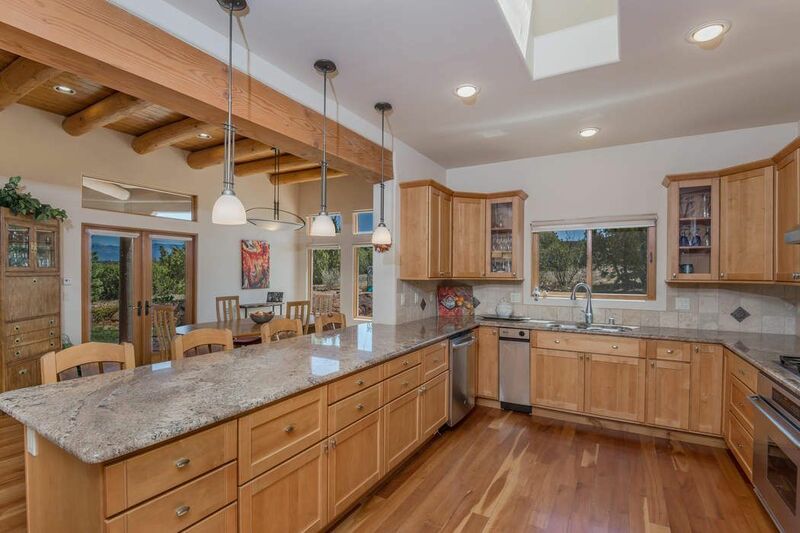 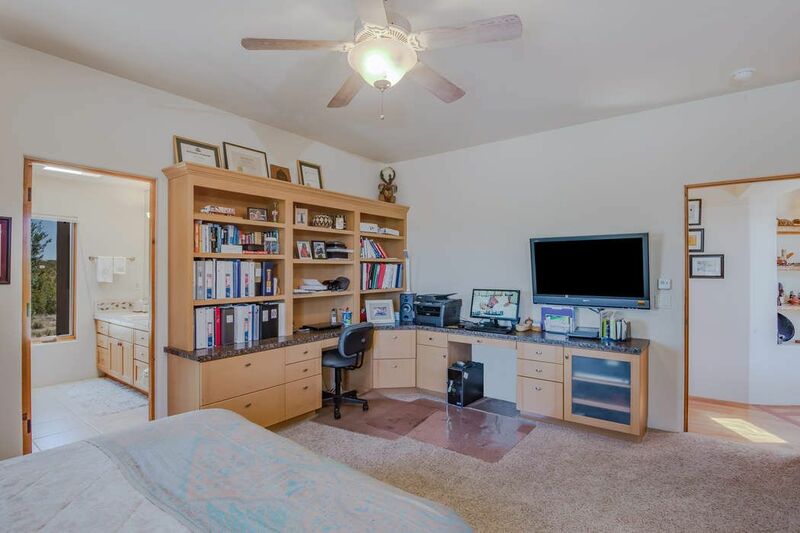 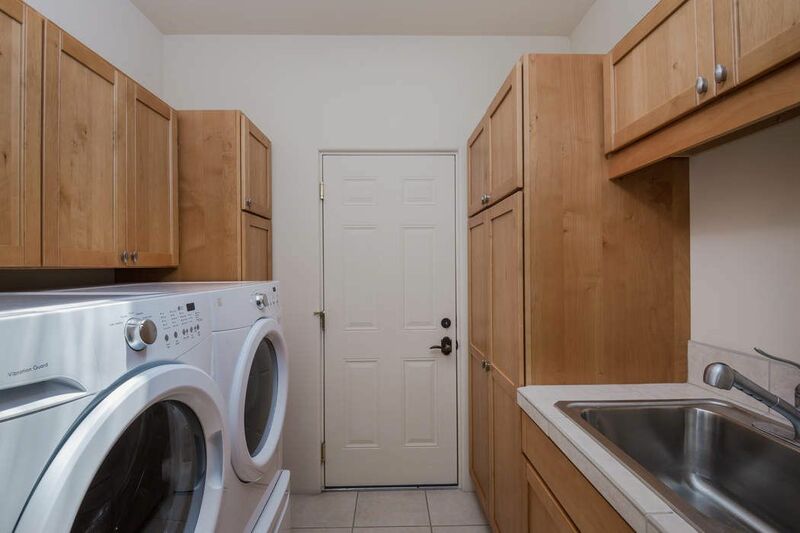 Quality finishes compliment the sophisticated, inviting interior with vibrant hardwood flooring throughout the main living areas, rich wood plank ceilings and vigas, soft archways with art niches and skylights throughout.